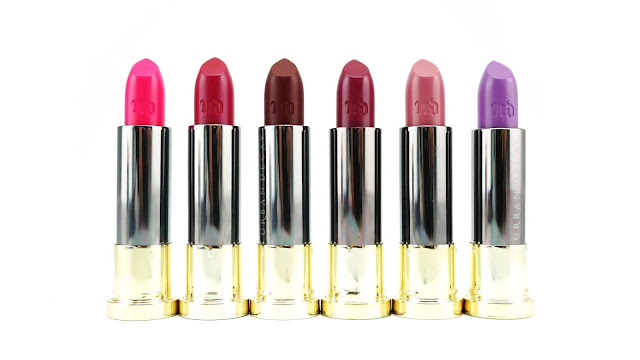 Urban Decay is bringing us their BIGGEST lipstick launch EVER! 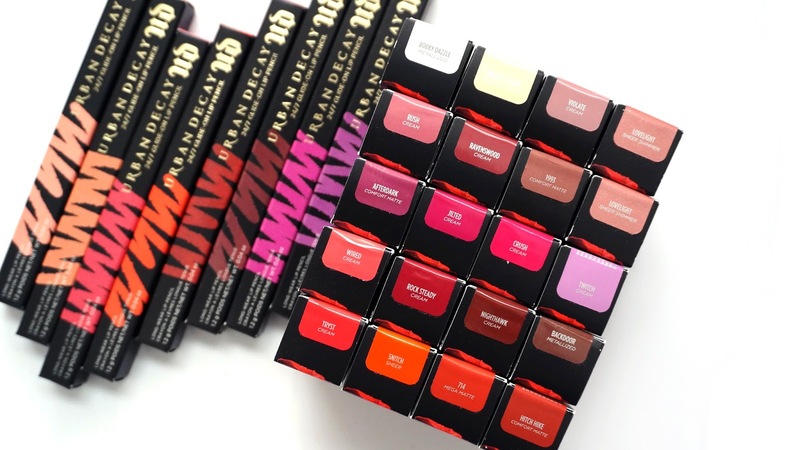 It is not an ordinary launch when Urban Decay decides to throw you 100 new lipsticks all at once, and alongside with 50 new lip liners that will go hand in hand with the lipsticks. 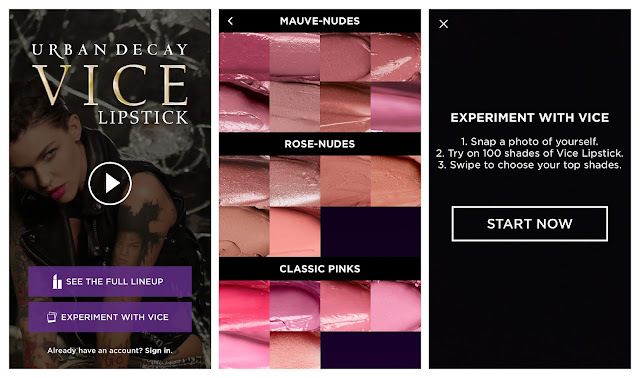 In this post, I will be giving an overview and showing you some swatches of the new Vice Lipsticks and 24/7 Glide-On Lip Liners. 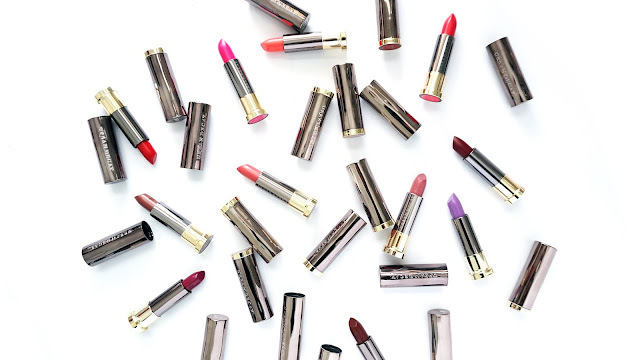 With a massive line up of 100 shades (120 in the U.S. with 20 shades being Sephora exclusives), the Vice Lipsticks range from classic reds to bold brights, dark and sultry to perfect nudes. They come in 6 different finishes - sheer, sheer shimmer, cream, comfort matte, mega matte and metalized. Some of the shades are new or inspired by existing Urban Decay products, some are cult favourites from previous collections. Having such an extensive range, I promise you will find the perfect shade you are longing for. Out of the 100 shades, I was kindly gifted 19 shades to try out and swatch for you all. 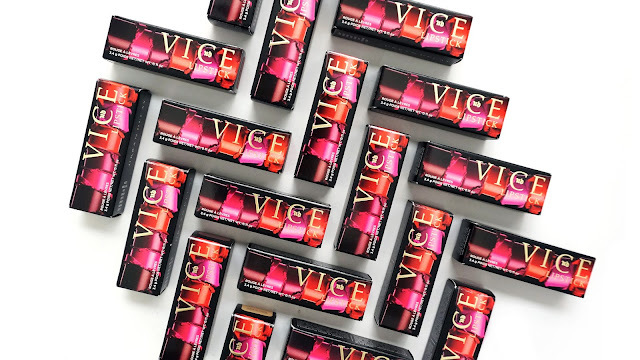 The new Vice Lipsticks definitely pack a punch. 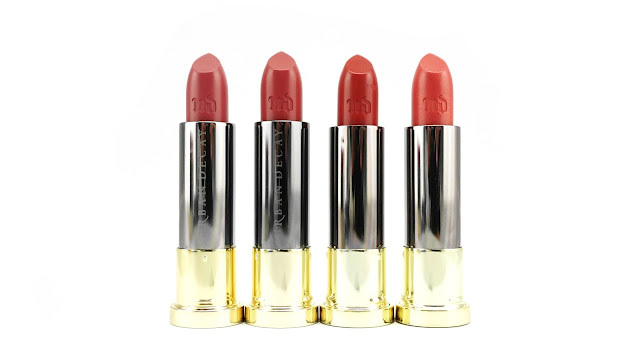 My favourite finish has to be cream - the formula is super smooth and creamy. 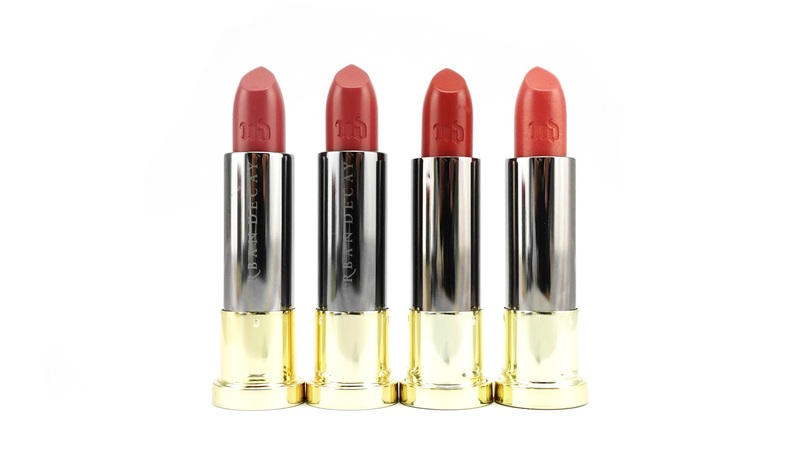 Each shade applies very evenly and with only just one swipe, it gives such a rich colour payoff. My top 3 shades from the lot have to be Ravenswood, Hitch Hike and Tryst. 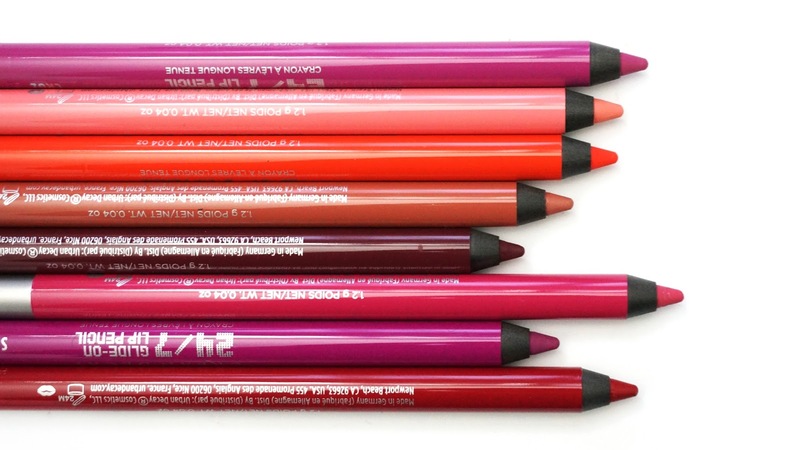 As you can see, Urban Decay is also releasing 50 new shades to expand their existing 24/7 Glide-On lip liner range. 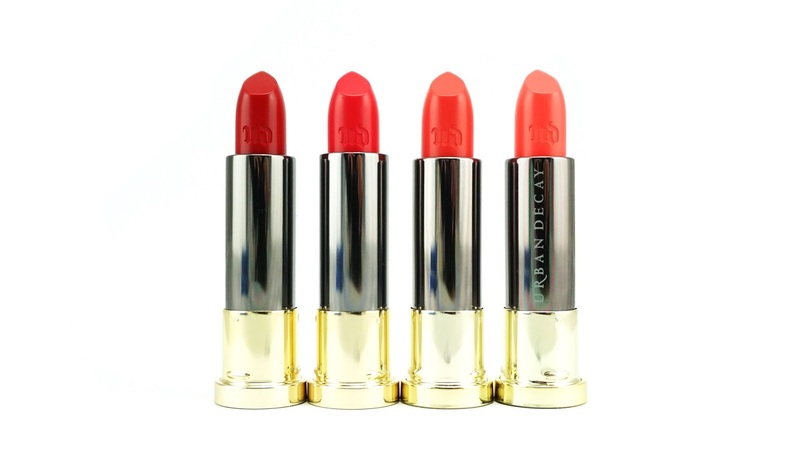 It claims to be a long-lasting, waterproof formula that glides on smoothly to prime and define the lips. This range of lip liners has to be one of the creamiest I've come across. They do not drag on the lips. 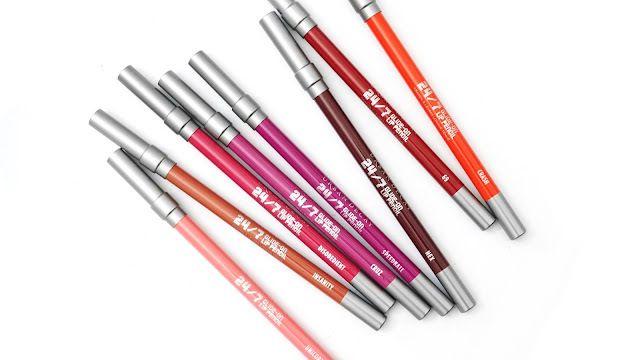 They are also super pigmented, you could fill in your entire lip and wear it like a lipstick for a longer lasting lip colour. Feeling a little overwhelmed by the huge selection of lipsticks available? 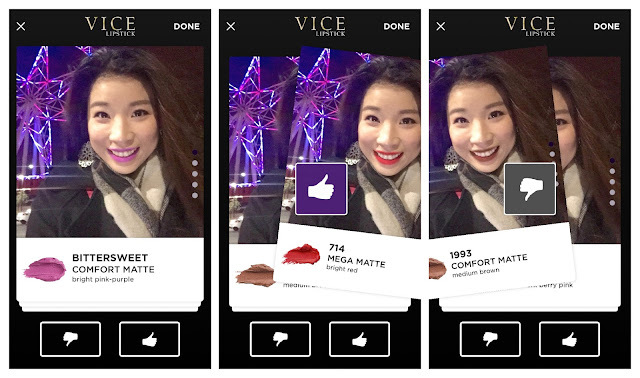 If you are having problems picking your right shade, try using the Vice Lipstick app - it is available for both iPhone and Android users. 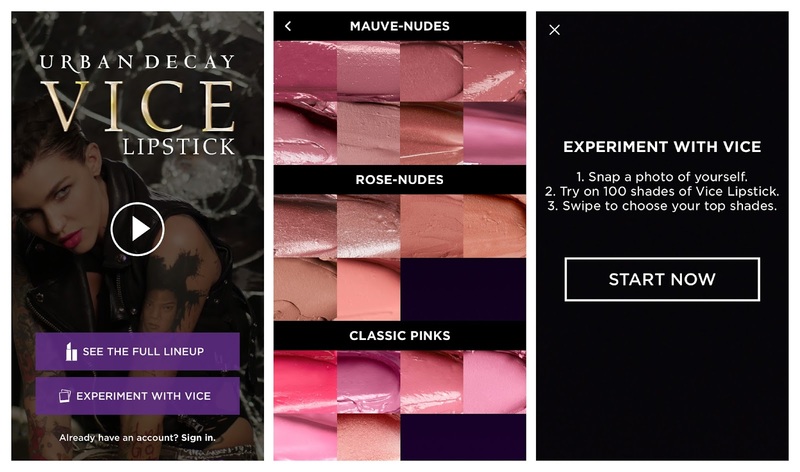 You can explore all the shades and finishes through the app. 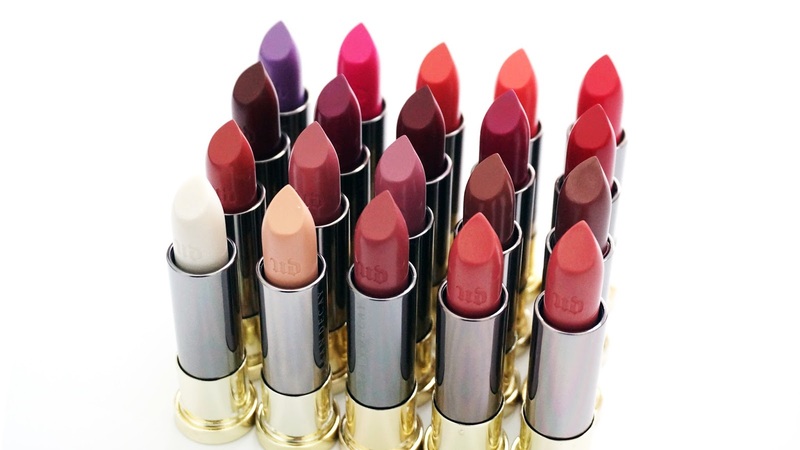 Hope you enjoyed the swatches. 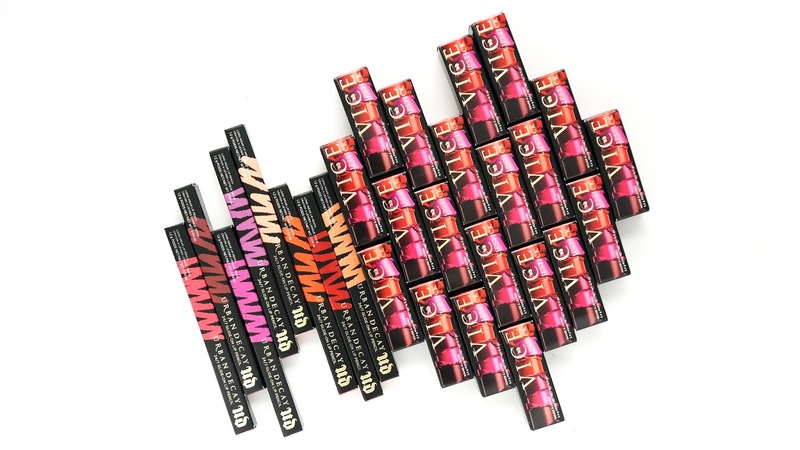 The lipsticks and lip liners will be available on 23rd August online and in store at Mecca Maxima. What do you think of the new Vice Lipsticks? Will you be picking up any? 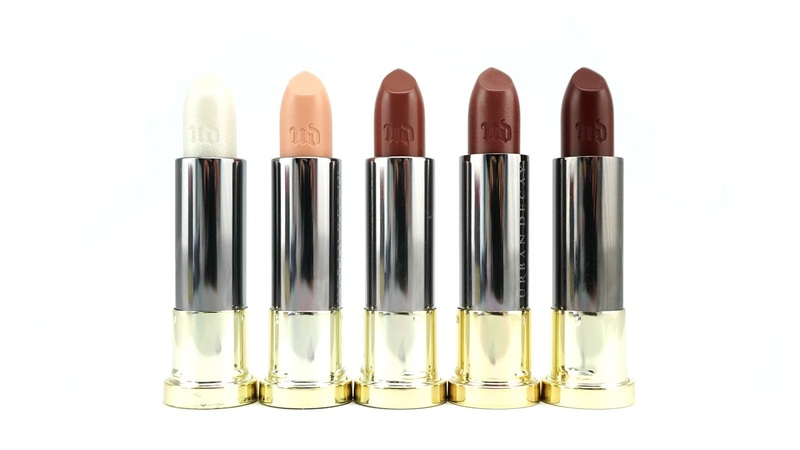 I'm looking forward to going in store to check out the rest of the shade range. *Products were kindly provided for consideration. All thoughts on everything shared on this blog are entirely my own and are my honest opinion. Industrial design graduate from Melbourne, who also happens to be a bit obsessed with makeup and beauty.